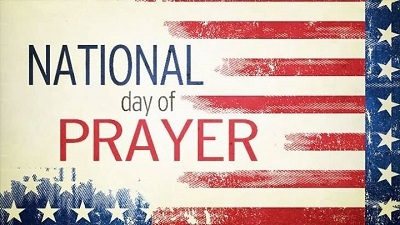 On this 67th annual National Day of Prayer, communities across the nation are gathering together, men and women of all faiths, in recognition and awe of a Higher Power. This past year, there were many events and issues that tried to divide us. It brings me hope and gratitude that everywhere I look in Texas, I see people placing their focus instead on what unites us. When Hurricane Harvey hit Texas’ Gulf Coast, there was one big Texas family that met it, united in the goal of protecting each of its members. First responders put their lives on the line to help neighbors they had never met. Places of worship opened up their doors to families seeking refuge. And Texans drove hours across the state towards flooded areas, trailing their boats, to help their fellow man. We witnessed the work of God time and time again through these meaningful acts of love and humanity. Now, months after the storm has subsided, Texans are still recovering and rebuilding, and stories of unity still prevail: high school students gathering on the weekends to rebuild their school gym, veterans giving their blood, sweat, and tears as they rebuild families’ homes, and folks across the state donating time and treasure to help out. In the wake of Hurricane Harvey, Texans have joined as one. Today as we reflect on the National Day of Prayer’s theme of unity, please join me in thanking God for bringing us together during the dark days. Let us thank God for guiding us towards each other and using us to spread His word, and let us pray for the continued strength and peace of unity in the days to come. May God bless you, and may He continue to bless the Great State of Texas.